As I wrote previously in my blog, there are serious and fatal complications of the widely used Bard inferior vena cava (IVC) filters. Are You Looking for a Bard Recovery and G2 IVC Filter Injuries Attorney in New York? Bard Recovery and G2 IVC Filter have been linked to many negative and harmful side effects including stroke, pulmonary embolism, and deep vein blood clots. If you have experienced these or any other side effects after using Bard Recovery and G2 IVC Filter, you may want to contact a Bard Recovery and G2 IVC Filter Attorney. Dr. Shezad Malik Law Firm would like to evaluate your claim if you live in New York and have experienced any negative side effects from using Bard Recovery and G2 IVC Filter. You can contact Dr. Shezad Malik Law Firm with your claim or for more information about a Bard Recovery and G2 IVC Filter Attorney for residents of New York, by filling out the form on the right or feel free to call Dr. Shezad Malik Law Firm at 888-210-9693 ext. 2 or 214-390-3189. G2 Filter System Lawsuits allege that the G2 Filter System possesses manufacturing and design defects which resulted in device failure. The injured plaintiffs experienced fracture and migration of the G2 Filter. In 2005, Bard Peripheral Vascular began selling its G2 IVC filter. This replaced the Recovery IVC filter. Despite the "enhanced fracture resistance" and "enhanced migration resistance" advertisements by Bard Peripheral Vascular, the device has still been shown to fracture, fail and migrate. The Recovery IVC filter was approved by the Food and Drug Administration in 2002. It was placed on the market for use in 2003. 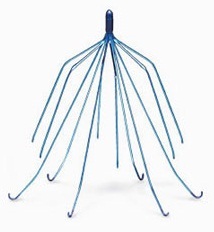 A recent medical report has found that 25% of all Bard Recovery IVC filters and 12% of Bard G2 IVC filters fractured. These fractured filters have the potential become dislodged and cause serious and fatal injury. Information and commentary provided by Dallas Fort Worth Personal Injury Attorney Dr. Shezad Malik. The Dr. Shezad Malik Law Firm can be contacted in Dallas toll-free at 888-210-9693. If you or a loved one has been injured from the Bard Recovery and G2 IVC Filter, please fill out our contact card for a free consultation.